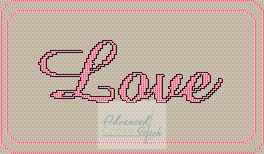 Simple one color (any color) with the word “LOVE” in a cool font with backstitch around the letters. A simple two line frame. You’ll love this simple fun project. It’s 132×77 stitches in size. 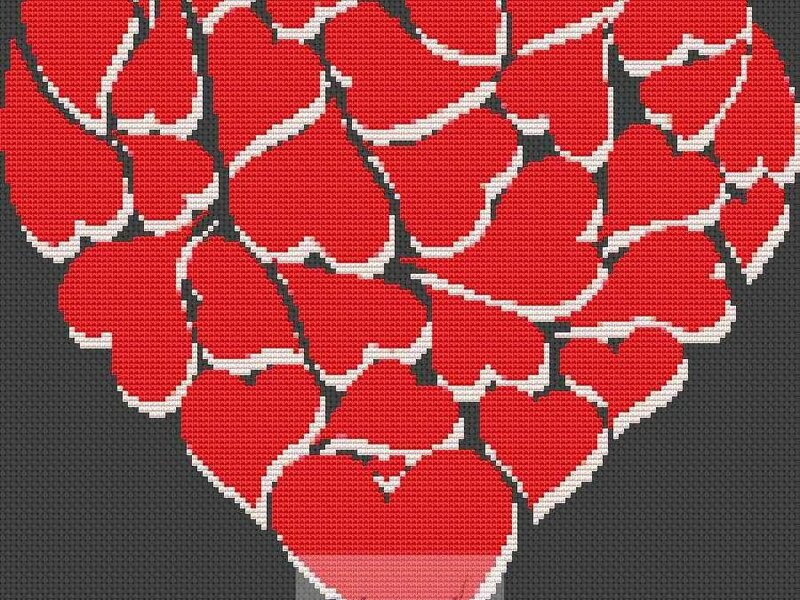 A heart-shaped out of many smaller hearts, just in time for Valentine’s Day. Here is an interesting chart with only 4 colors. This is only 150×150 stitches, so the perfect size for a pillow.